If you’re a University of Arizona graduate like me and have ever wished to return to Tucson to relive your college glory days, you have the opportunity to immerse yourself in that nostalgia every year at Homecoming. While attending the events of the UA’s 104th Homecoming week, I witnessed the hard work of the UA Alumni Association to create an unforgettable experience for current students and alumni. I’ve returned to campus for Homecoming several times, and while the campus continues to evolve with beautiful new structures, what I have come to love most is what bonds all the classes that have graduated from the UA: Wildcat traditions (throw up your “WC” hand sign!) paired with campus life, including local establishments that have stood the test of time. This culture has become a common thread we share. I recall instantly bonding with another alumna because we both had fond memories of nights at Dirtbag’s. It didn’t matter when we attended UA; we have similar campus life familiarities. For Homecoming week festivities, I invited one of my best girlfriends and spirited alumna, Melayne Wootan, who played on the UA women’s volleyball team. We are proud alumni who often say “Bear Down” to anyone we see wearing Arizona gear. If we’re feeling cheeky, we sometimes say it to people who wear logos from that school up north. This Homecoming trip was unique in comparison to past visits, as I had a schedule of events to attend over the weekend. I have to admit that this made my UA Homecoming experience better than any other. The saying is true; you get what you put into it. The more involved you are, the more events you attend, the prouder your Wildcat spirit — the fonder the memories. 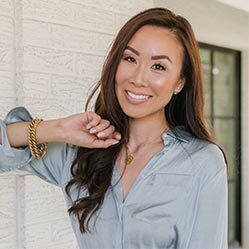 Diana Elizabeth Steffen (Diana Jung, ’03 SBS) is an entrepreneur based in Phoenix. She is a full-time editorial photographer, marketing strategist and lifestyle blogger. She blogs about home, gardening, travel and lifestyle on DianaElizabethBlog.com. After driving down from Phoenix, we dropped off our bags at the Aloft Tucson University Hotel, right by campus, on Campbell Avenue and Speedway Boulevard. We headed to Old Main for a Career Lab event, hosted by the UA Alumni Association, to learn about a new mentorship program, Wildcat Mentor Society. That evening, a group of student mentees waited to find out which one of 23 UA alumni mentors would be providing them with career-building mentorship for the next eight months in a virtual group setting. After Andy Harris ’87, the program’s founder, made the pairing announcements, students had the chance to meet their mentors face-to-face. The UA Alumni Association is continually finding innovative ways to connect alumni and students to foster a strong community and career-building bonds that continue beyond the college experience. For those of us who don’t need a mentor, we can still connect with fellow Wildcats through the new Bear Down Network, an online database similar to LinkedIn, but exclusive to Wildcats, that connects graduates through job listings, meet-ups, casual mentorship and internships. I’ve desired a networking program such as this from UA for years and am glad to see it come to fruition. The next day, we headed back to campus for the Homecoming Luncheon. All alumni are welcome to purchase a ticket to secure a seat at the buffet luncheon, which is held on the second floor of the Student Union, marked by red and blue balloons lining the staircase. Lunch was served on pretty plates with the “A” logo, and mascots Wilbur and Wilma, UA cheerleaders, UA Alumni Association President Melinda Burke and UA President Robert C. Robbins were in attendance. I also cannot forget to mention the very special guests, the class of 1968! Special tables marked the 50-year reunion attendees, and the class presented a check to the university for more than $675,000. This was my first time hearing about the tradition of graduating classes gifting back to the university. What an incredible opportunity to give back to your alma mater in an impactful way. I reflected on the new buildings and other campus improvements that have been made since I graduated, most of which wouldn’t have been possible without the generous donations of alumni. I’m sure many of the facilities I was able to experience during this trip — such as the new Student Union Memorial Center — are thanks to generous UA alumni. I am looking forward to being involved in my class’s 50-year gift when the time comes. After the luncheon, we walked to the UA BookStores to load up on Arizona gear — and also to see how the bookstore has grown. We came out with an armful of UA swag. I kept replaying a moment in my head that I had with my dad when I was a student; he told me that anything I bought from the bookstore would put money back into the university. I took that as his way of telling me it was OK to spend money there. Keeping his advice in mind, I did! I attended my first Homecoming bonfire later that evening. Old Main looked especially festive, with colorful lights alternating between red, white and blue. Seeing the Pride of Arizona marching band lined up on Old Main, hearing familiar songs and cheering those classic UA chants, I could feel my Wildcat spirit surge. I felt like I was back in college again! At the bonfire, UA President Robbins made a prediction (spoiler alert: it came true!) that the Wildcats were going to beat the Oregon Ducks at the Homecoming football game. After a quick introduction of the Homecoming court and the crowning of the king and queen, the bonfire was lit. The evening continued with more UA chants with Wilbur and Wilma and the UA cheerleaders. This experience was a great way to kick off the celebratory weekend. After, we walked down University Boulevard through Main Gate Square to check out a new event called GLOW, hosted by the Alumni Association at Americano Mexicano, the newest restaurant and bar on the block. This free event, created for alumni who have graduated within the past five years, featured a DJ, a photo backdrop and a photo-printing station. The bartender recommended the “Harry Potter” shot, so we had to check it out. The shots were served on fire and looked fantastic on Instagram! After a few hours at GLOW, we called it a night and walked back down University Boulevard. It felt as if we were walking down memory lane, passing the long lines of students waiting to get into Frog & Firkin and Gentle Ben’s, just as I remembered. Saturday morning, we started the day by grabbing food from a Tucson classic, Eegee’s, and then got ready at the hotel. We put on our red and blue to join fellow Wildcat fans, students and alumni back on campus for the Homecoming tailgate festivities. We decided walking through campus along Greek Row would put us in the Homecoming spirit and exchanged cheers along the way with lively students also heading to celebrate. When we arrived on the UA Mall, we saw tents for specific colleges welcoming alumni to visit, and as we entered the Wildcat for Life Tailgate Party, we signed in on a sheet for the alumni classes. We grabbed some lunch after collecting free swag and mingled with fellow alumni under the tents. Homecoming week ended with a big win against the Oregon Ducks, 44 to 15. Fireworks lit up the sky throughout the game — what an incredibly fun and celebratory night! Post-game, we contemplated stopping into Gentle Ben’s to celebrate, but in the end, our nostalgic cravings for Los Betos won. We quickly realized we weren’t the only ones who had that hankering, as we saw a few more alumni trickle in after the game. It put a smile on my face when I realized that many of us have similar memories from our time at the UA, and that’s what makes our college years so special. Whether you graduated five years or 50 years ago, many of us have the same favorite hangout spots that still remain — and to me, that unity feels even stronger after attending Homecoming.